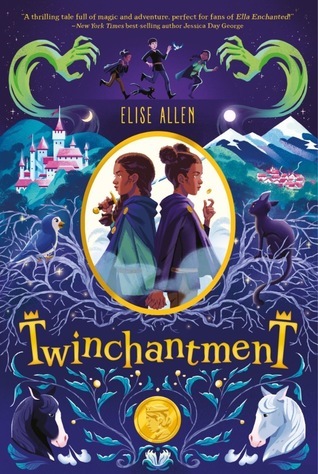 It’s about two twins – Flissa and Sara – who live in a kingdom devoid of magical beings because once upon a time magic caused great harm to the kingdom. The Fantasy genre is usually dramatic like that. That’s not a new idea. I have read books in the past that featured a magic-less world with characters trying to restore it, but in this case Flissa and Sara’s true intention is to save their mother who was attacked by magic. I enjoyed Flissa and Sara’s interactions. They are full of energy; I can’t imagine someone claiming they are boring. Sometimes it’s hard to tell their “voice’’ apart, which makes me think that a 1st person dual POV would have worked better perhaps. Regardless, they are sisters who care tremendously about one another and that was lovely to witness. The story sadly only picks up when the twins start their adventure… Life at the castle is rather dull and even awkward since they have to pretend to be one single person (Flissara) which is just confusing for both the twins and the reader! I would have definitely cut some scenes that didn’t add much to the plot overall.